This is a page about Let’s Make Christmas wreath ! (only in Japanese) for the Sumida Hokusai Museum. 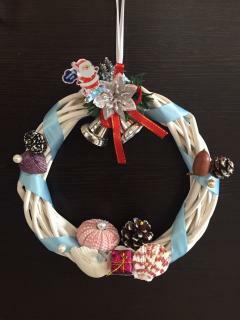 We will make original Christmas wreath by various materials which used a motif of Sumida River. You can make a memorable Christmas wreath which is only one in the world.